In less than a year, Ukraine has been plunged into a vortex of violence that doesn’t appear to have any end in sight. The vicious circle that started with Molotov cocktails thrown at riot police has now gone to ballistic missiles launched at cities. The Ukrainian turmoil started in November 2013, after President Viktor Yanukovich put on a hold on a key EU integration deal. 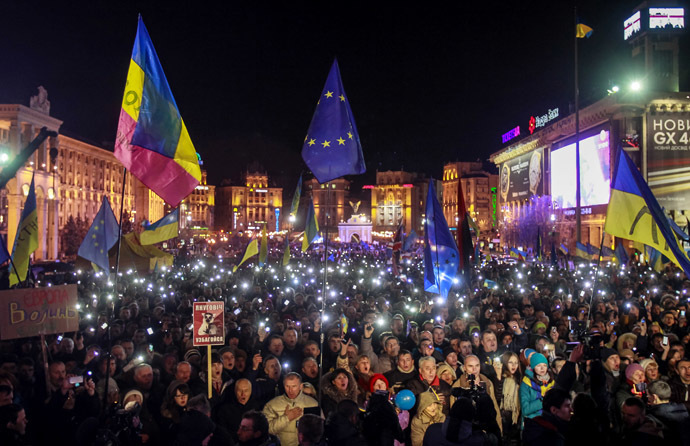 Thousands of Ukrainians, outraged by what they saw as betrayal of their aspirations, responded with mass protests in Kiev. Over the weeks the protests became increasingly violent, as right-wing radicals weighed in and the government attempted to tighten the screws. 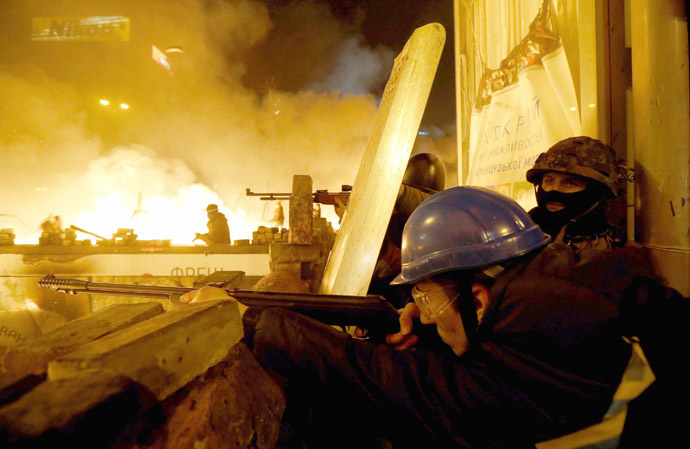 Eventually, Kiev turned into a scene of rioting, with protesters using Molotov Cocktails and guerrilla tactics to take over government offices. 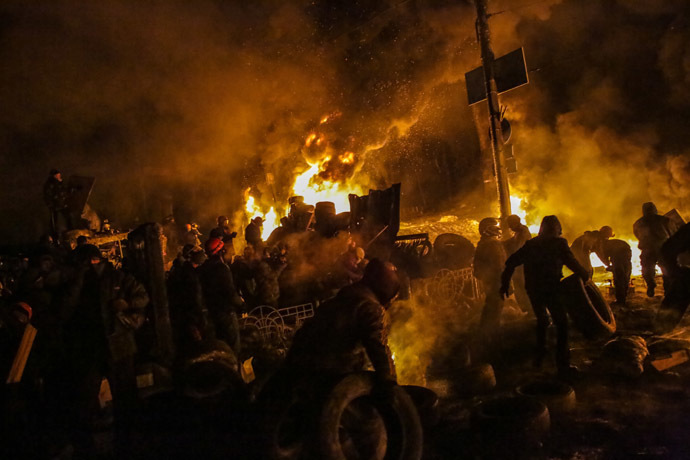 The violence spiraled out of control a day after Yanukovich submitted to virtually all the demands conveyed to him by parliamentary opposition leaders. Snipers started shooting at both the protesters and the police in Kiev, triggering a bloodbath and a collapse of the government. The identity of the snipers remains unknown. 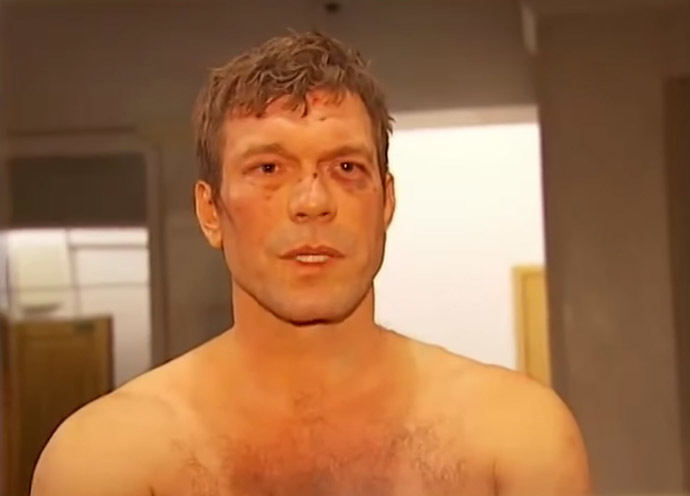 Presidential candidate Oleg Tsarev from eastern Ukraine was beaten by a mob of radical activists as he was about to take part in a political talk show. Activists of Maidan drain gasoline and rob cars near the Russian Emmassy in Kiev, June, 14, 2014. After the coup, the new authorities in Kiev took steps such as an attempt to strip the Russian language of its official status in largely Russian-speaking eastern regions. A protest movement grew in response, only to be dismissed and retaliated against with the dispersion of rallies, arrests and kidnappings of protest leaders, and attacks on local politicians. Kiev pressure led to some protesters taking arms and storming local government offices much as their opponents had done months earlier. 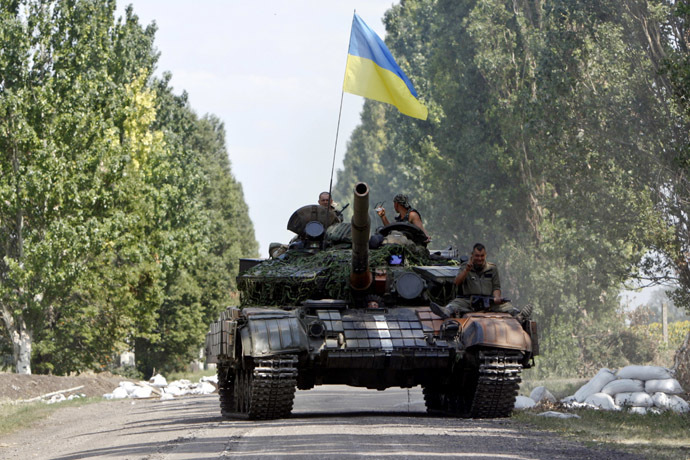 Kiev declared the militias terrorists and Russian mercenaries and launched a military crackdown in the defiant east. Armored infantry vehicles were sent to cities like Mariupol in a demonstration of force, while mortar shells started falling on militia-erected roadblocks. This woman, Irina Kukurudza, died after the Ukrainian airplane strike on the administrative building in Lughansk, July, 2, 2014. Two women more died near her. At whole 11 people were killed. Even NATO confirmed that the attack was made by an Ukrainian airplane. Instead of a quick victory, the so-called ‘anti-terrorist operation’ stalled, with militias capturing police armories, some military depots and even the military hardware used against them. Kiev’s response was to deploy Su-24 bombers, Mig-29 fighters, Mi-24 helicopter gunships and other aircraft, since their military had unchallenged air superiority. Militias proved to have shoulder-launched SAMs in their arsenals. Angered by the armed resistance and hindered by the poor morale of their own troops, the Ukrainian government upped the violence ante. T-64BM Bulat battle tanks and heavy artillery pieces like 152 mm howitzers Msta and 152 mm field guns Giatsint-B joined APCs and mortars in the battlefield, laying waste to militia strongholds like Slavyansk. 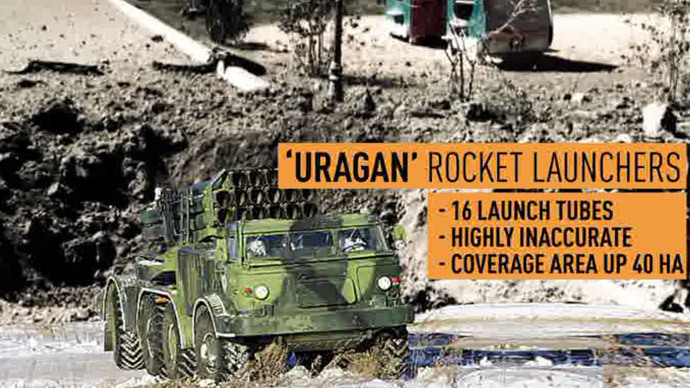 Among the heavy weapons the Ukrainian army uses are BM-21 Grad and BM-27 Uragan multiple-rocket launchers, a highly indiscriminate kind of weapon designed for destroying enemy forces in the field. If fired at a city, it cannot but cause multiple civilian casualties. Kiev denied doing so, but international rights group reported evidence to the contrary, adding that such actions may amount to war crimes. 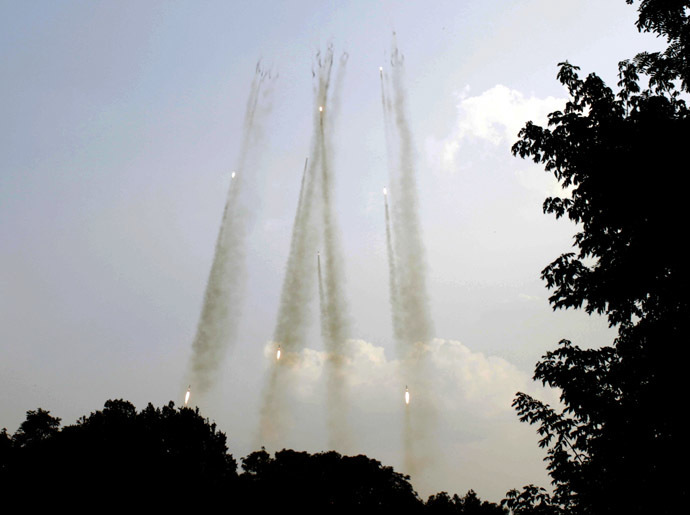 Another kind of weapon that is banned for use against residential areas is phosphorous ammunitions. 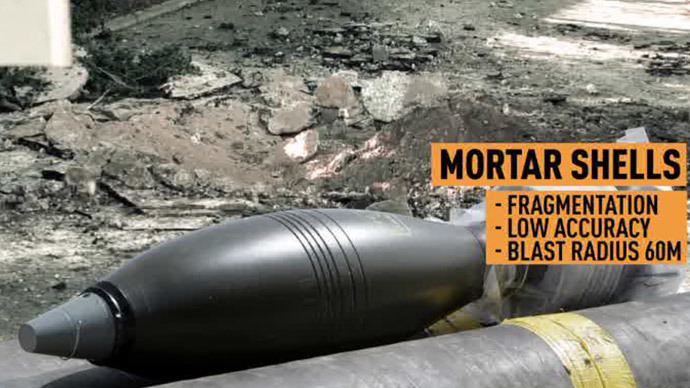 Kiev reportedly shelled the militia-controlled Slavyansk with these on several occasions in violation of its own international commitments. 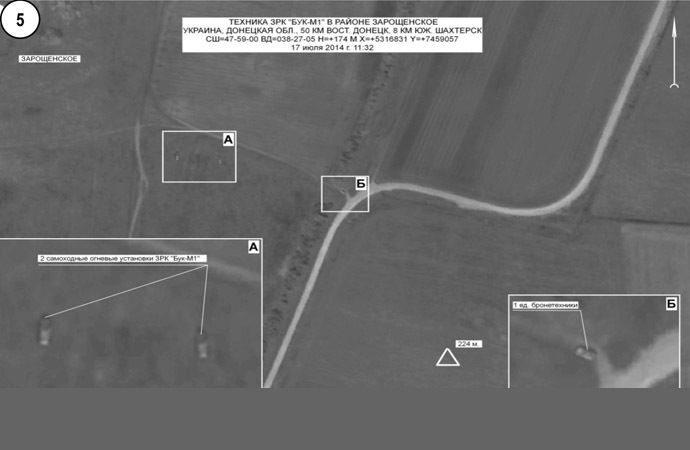 A satellite image showing the location of anti-aircraft missile system BUK M1 equipment in the area of the town of Zaroshchenskoye, Donetsk Region, on July 17, 2014, presented at the news conference of Chief of the Russian General Staff's Main Operational Directorate Andrei Kartapolov and Chief of the Russian Air Force's Main Staff Igor Makushev on the crash of the Boeing-777 airliner in Ukraine. 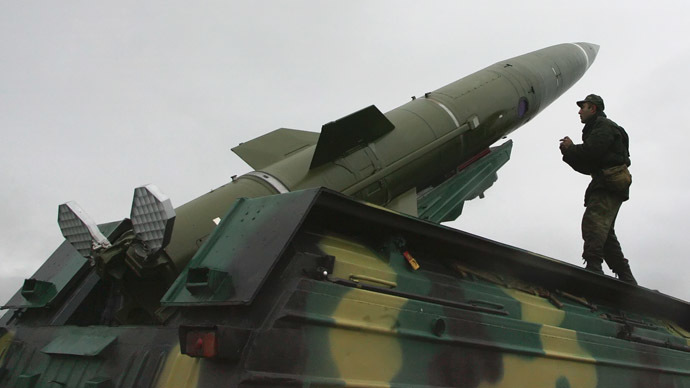 In addition to heavy offensive weapons, Kiev deployed batteries of anti-aircraft missiles near the battlefield. 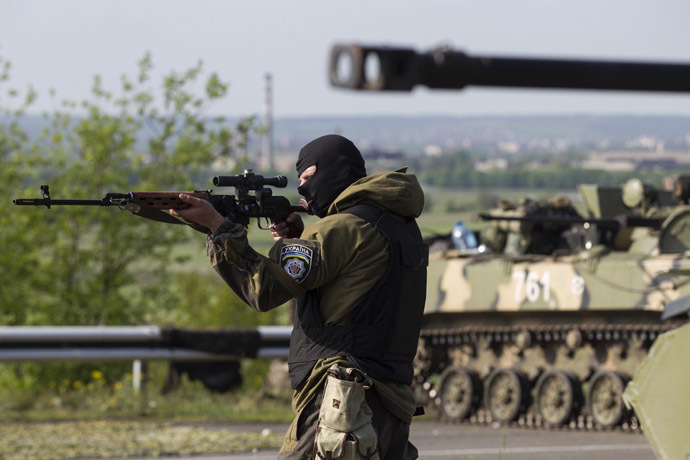 The militias don’t have any aviation of their own, but the Ukrainian military claimed that Russia is sending its fighters and bombers to strike their positions and cities. Kiev hasn’t bothered to provide any proof of the claims, but they had Buk-M SAM launchers and radar stations on stand-by at the time a Malaysian Airlines plane was shot down in the area. 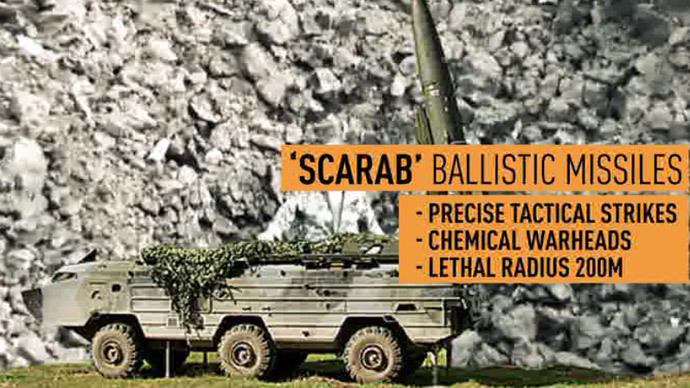 The most destructive weapons Kiev was reported to have used so far are tactical ballistic missiles. CNN said at least three Tochka (SS-21 Scarab) missiles have been launched, each carrying up to 482 kg of explosives. The attacks were confirmed to German media by NATO sources, although the alliance later denied this. Also see the video below. Pro-Kyev military still use ballistic weapons against towns and villages of Donbass still full of citizens. The last evidences are from August, 22.